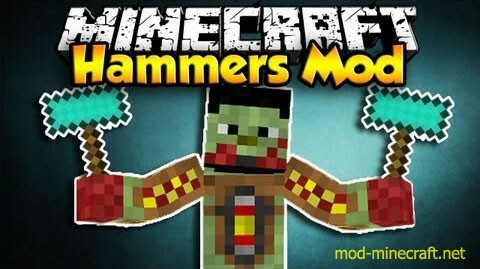 This mod adds in a hammer for each type of tool material. These hammers are basically creative mode in a tool for survival. You can break blocks basically instantly but you won’t receive any drops from blocks you break. So, this can be really useful for breaking down mountains really quickly. After you have the core the rest is self explanatory.